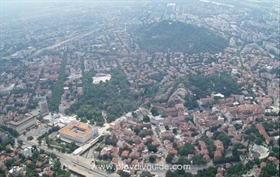 Formation of secondary city centers was implied in the new General City Construction Plan of Plovdiv. The Plan’s public discussion has started today at the International Plovdiv Fair. According to the city chief architect, Arch. Emilia Bozhkova, one of the strategic aims of the Plan is to destroy the archaic mono-concentric model, according to which the only true center of the city is the Main Street. According to her, at least three more secondary centers of the city are supposed to appear in Plovdiv – in three other city areas. Three new bridges in addition to the existing 6 will also help city traffic….